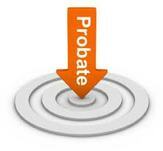 you with your property in Probate, a Trust or under a Conservatorship. You and Mell did a great job" ! "Thank you!! It was fun to work with both again. You always go the extra mile". Thank you again to both you and Mel for all your assistance during this process. You both went above and beyond during each step and it was a pleasure working with you. "You made it! Thanks for all the hard work you all put in". "Thank you both so very much". It was a pleasure doing business with you. Thanks a lot". "Hi Jim, I trusted that you knew how much my home value was because of all your years of experience. I was expecting it to come in at the asking price you set. You definitely know how to do it right. That's the reason I made the calls I did to find you. It won't be long now and I will be in my new home".